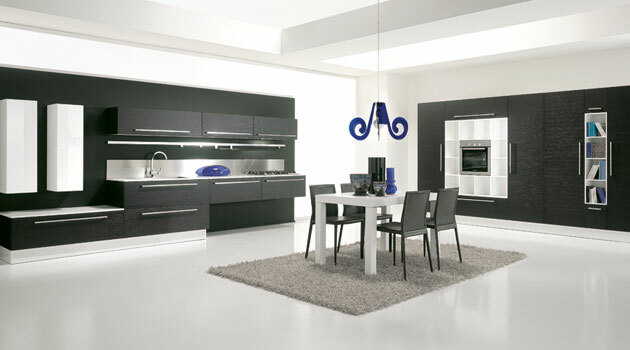 A kitchen model that expresses pure, straight lines in popular colors that express style and elegance. The idea behind this model was to challenge the designer in the exciting process where mixing and playing with different colors and create solutions that provide a pure look. 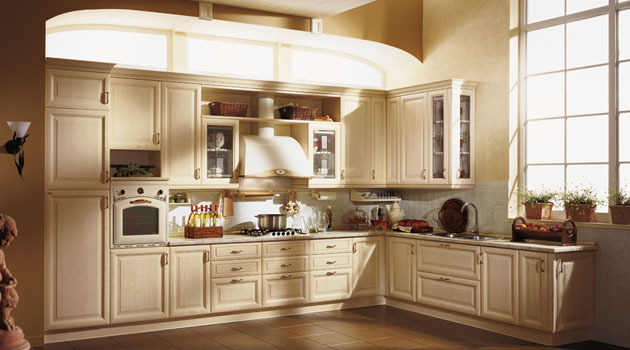 The choice of using handle-free cabinets are especially beautiful in the model Evo. 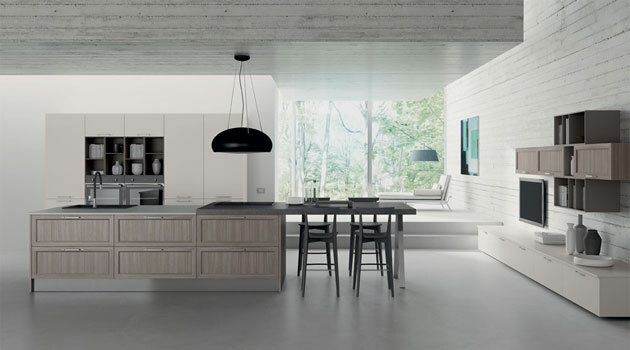 The designer who draws kitchen and the architect who is involved in the choice of materials, has created Krea as an extraordinary kitchen model. 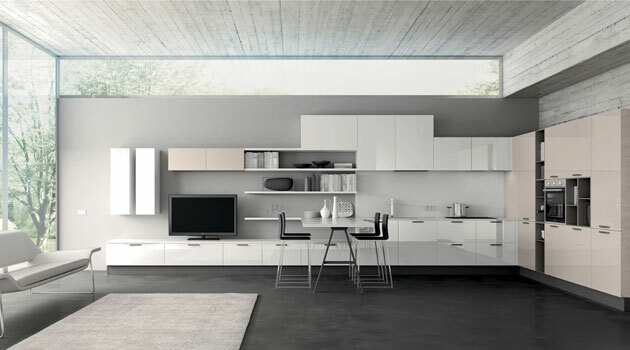 In addition to 9 different veneer fronts, providing a beautiful sleek cubistic design for open solutions between the kitchen and living rooms, Krea can be delivered in 192 different painted colors! Krea kitchenmodel can be shaped and produced in rounded solutions and in many varieties. Here we have a unique kitchen model for those who want something "completely different"! When gloss finish is important in the selection of kitchen fronts, Smart an obvious choice. With the advantage of a low cost solution without compromising on glossy doors and modern expression, Smart's finds its obvious place in the market. The model is slick and the design becomes easy and esthetic. By combining materials in the kitchen between matt, gloss and profiled (matrix) fronts, Tekna gives many flexible options or alternatives. The unique water repellent fronts gives the kitchen, as well as alternative design, a wonderful long life span of the whole kitchen! When Tatoo was created, the idea was to produce an affordable kitchen model that could compete in a price pressured market. 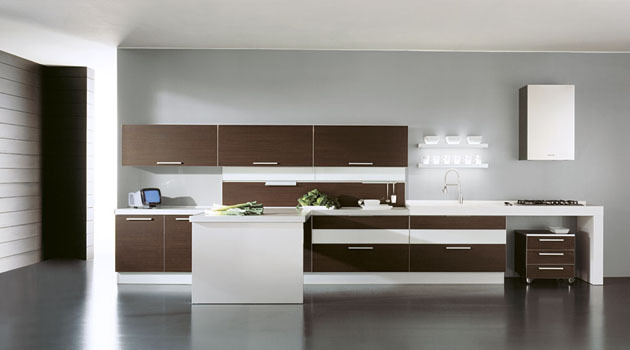 But without compromising on the special waterproof doors and cabinets that Vabene is well known for. 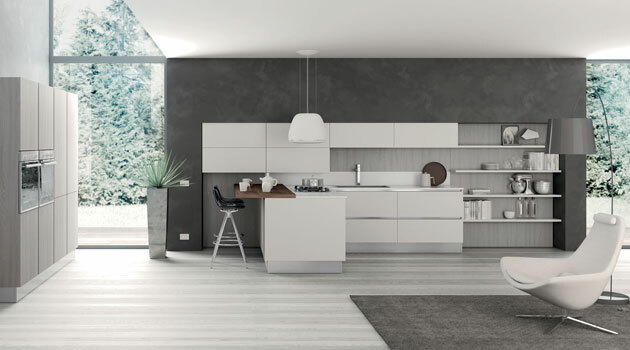 The result was a kitchen model that was, and still is, one of the most popular kitchens when favorable price is important without ruling out quality and long life lasting kitchens. 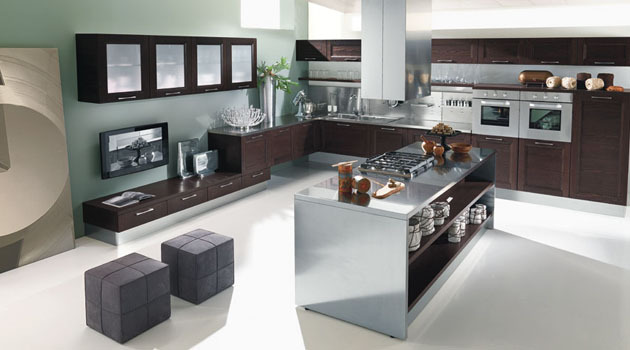 Solid, "classical" modern kitchen model in solid wood, Pepper does not disappoint anyone! The doors are manufactured in solid Ash and is the same door as in the classical model Ginger. Pepper is stylish and appeals to those who want a solid wood kitchen option but still with a modern expression. Vabenes most profiled kitchen is Syntesi. This was the first model where we introduced rounded kitchen solutions. With its high-pressure laminated doors, both the back and front of the doors is available in 200 different colors. Syntesi comes in gloss and matt (HPL)laminates with a massive aluminum border around the edges of the doors. No one who loves kitchens and design goes unaffected away from a presentation of this model! 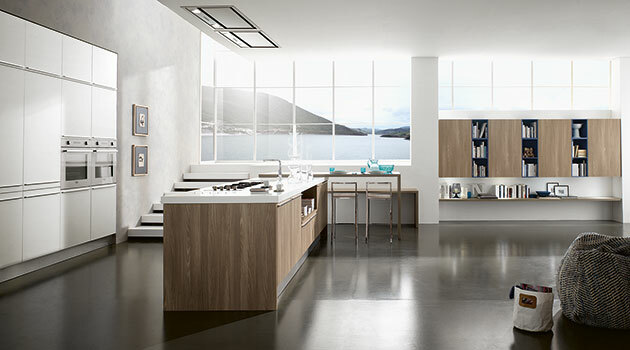 Vabenes most durable kitchen model also Verified for public environments. Pay attention and notice the beautiful glass detail available in the Syntesi kitchen! 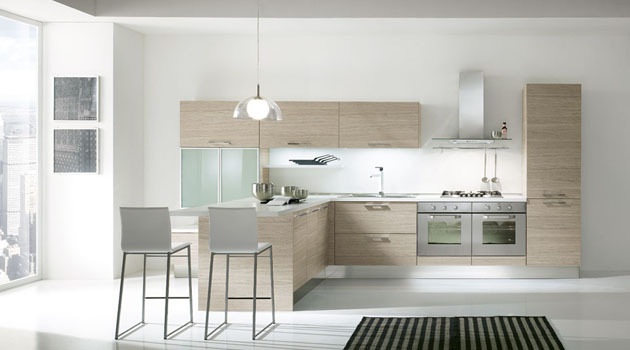 With its beautiful, raffeled doors, Zen a beautiful product in the modern kitchen world. Zen, is delivered in non-painted colors: light and dark oak, - but also available to be delivered in 160 different matt lacquered colors. White Zen has also become popular among those who want a simple design but where it is preferred that the front has little structure and life in it! Timeless! 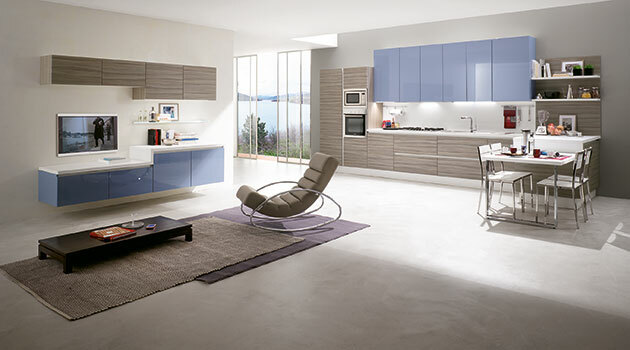 Kitchen model that expresses pure, straight lines in popular colors that express style and elegance in a classic design. Stylish! 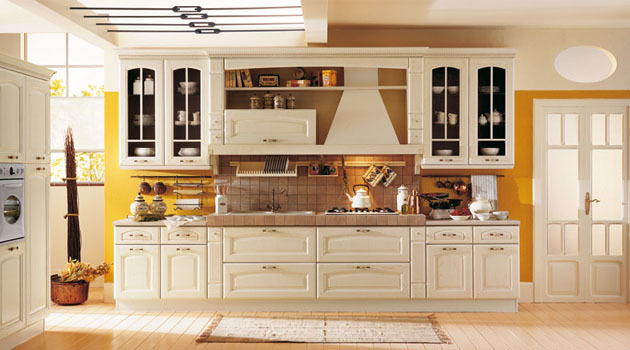 A kitchen for a mansion or a special home where classical details is valued. 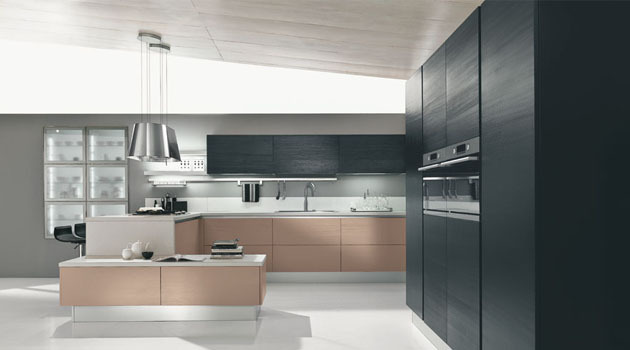 Made of solid oak, this kitchen emerges as emotionally and still ergonomic. Ginger is perfect for open solutions between the kitchen and living room where classic design is already a theme. The same doors is provided in the model Pepper, except of Gingers attractive horizontal crossbars which makes the model Ginger characteristic and classical. Italian historical, furniture design are represented in the model Camelot. Massive doors in 24mm thick acasia/oak, avaiable in white ivory, light (honey) and dark walnut colored. 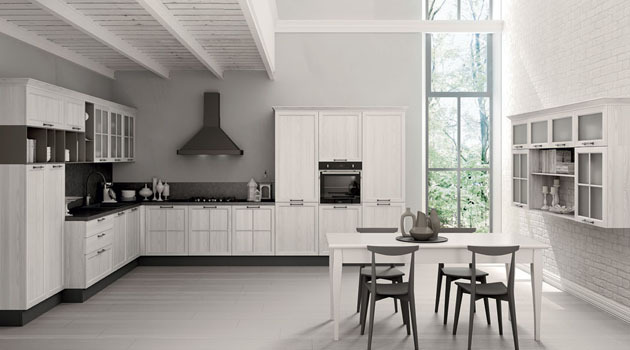 Many kitchen manufacturers have taken out of their production their old classics models, but Vabene keeps this model, and models like this, as they have been in our production-range for more than 40 years! Check the details in the images. Produced in solid chestnut, Preziosa is a "queen" in our kitchen range! Beautiful, elegant details where the wonderful glass details allways astonishes the clients. Stylish and delicate classic design that must be seen! For those who love Preziosa there is no other option in the kitchen world!